Amazing grace how sweet the sound! 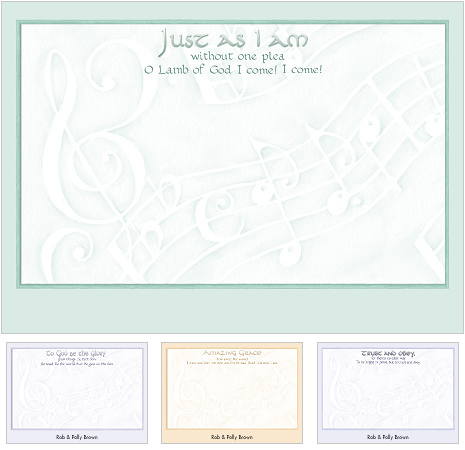 Celebrate the classic beauty and timeless message of four beloved hymns with this music note card set by Christian artist Karla Dornacher. These 6 1/4" X 4 1/2" flat cards include free personalization and envelopes.